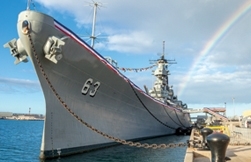 A key element in the restoration and preservation efforts to improve the Battleship Missouri Memorial to true flagship condition is the “Adopt A Space” program. 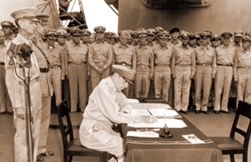 Several military commands, civic organizations, and commercial companies have adopted spaces such as the bridge, engineroom, gun mounts (5” and 16”) and historic areas such as the Surrender Deck. The commands, companies, and organizations who adopt spaces, first restore them (which often requires labor and materials), and then keeps them cleaned for a specified period of time. The follow-up preservation only requires periodic visits and light cleaning. If you are interested in any of our volunteer opportunities, please email us or contact us at (808) 455-1600 ext. 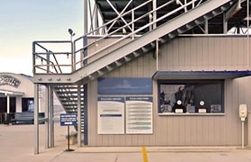 249. 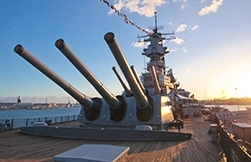 Note: All volunteers who need a driving pass must go through a US Navy background/security check.